A lecture course that Martin Heidegger gave in 1927, The Basic Problems of Phenomenology continues and extends explorations begun in Being and Time. In this text, Heidegger provides the general outline of his thinking about the fundamental problems of philosophy, which he treats by means of phenomenology, and which he defines and explains as the basic problem of ontology. A lecture course that Martin Heidegger gave in 1927, The Basic Problems of Phenomenology continues and extends explorations begun in Being and Time. 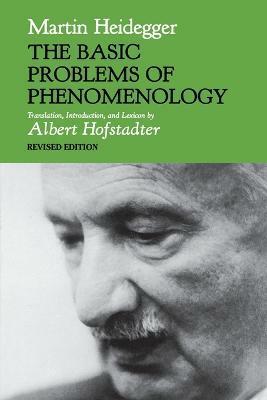 In Basic Problems Heidegger provides the general outline of his thinking about the fundamental problems of philosophy, which he treats by means of phenomenology, and which he defines and explains as the basic problems of ontology. Albert Hofstadter is Professor Emeritus of Philosophy at the University of California, Santa Cruz. His translation of Heidegger's Poetry, Language, Thought received a National Book Award.